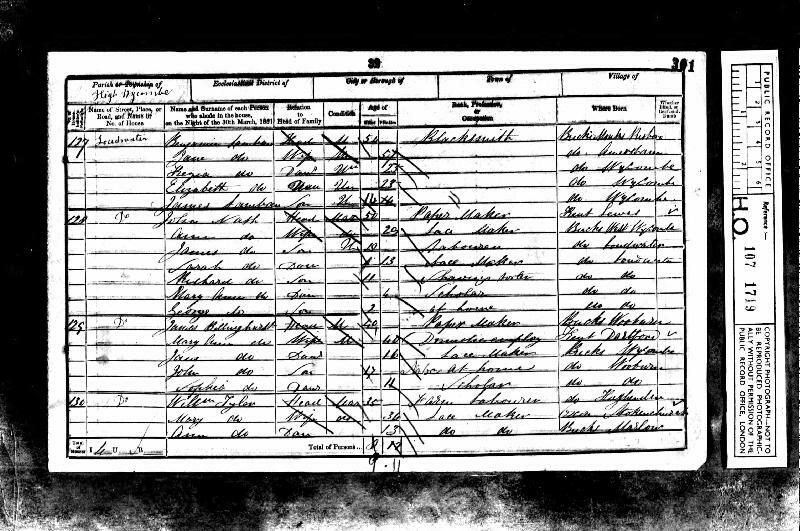 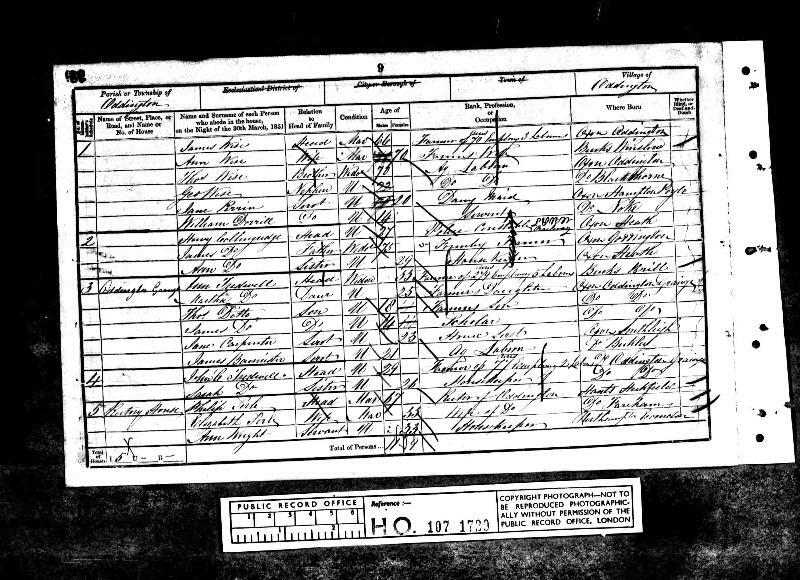 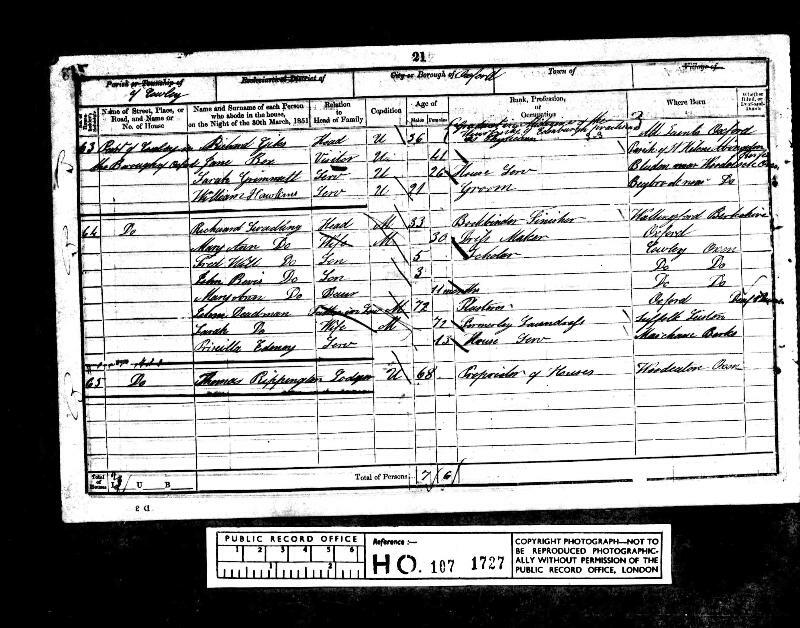 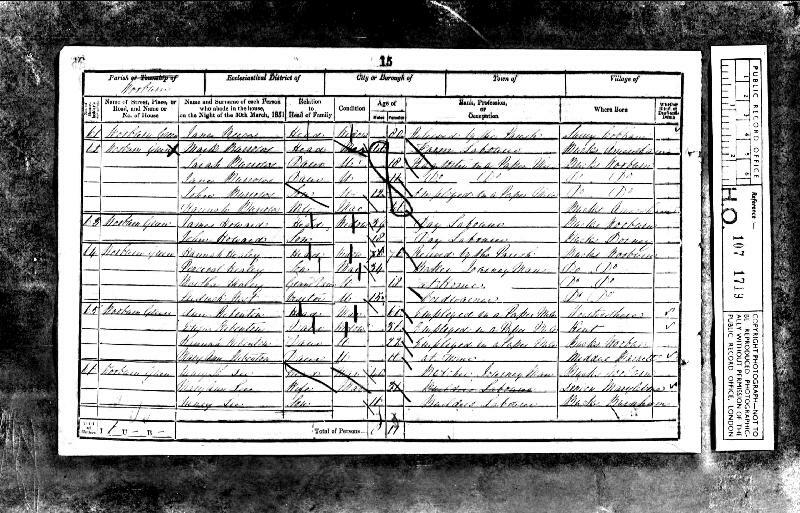 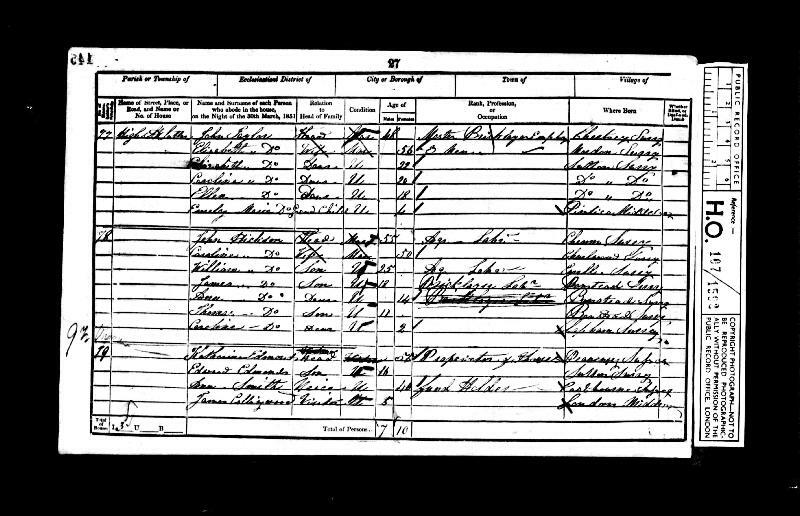 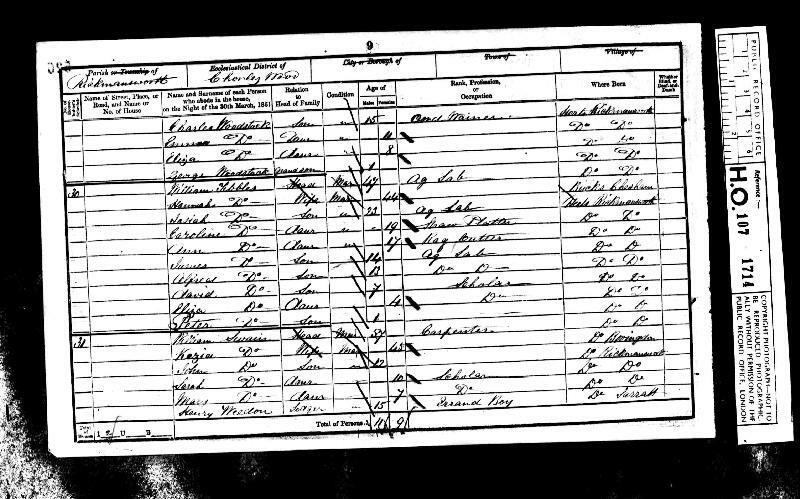 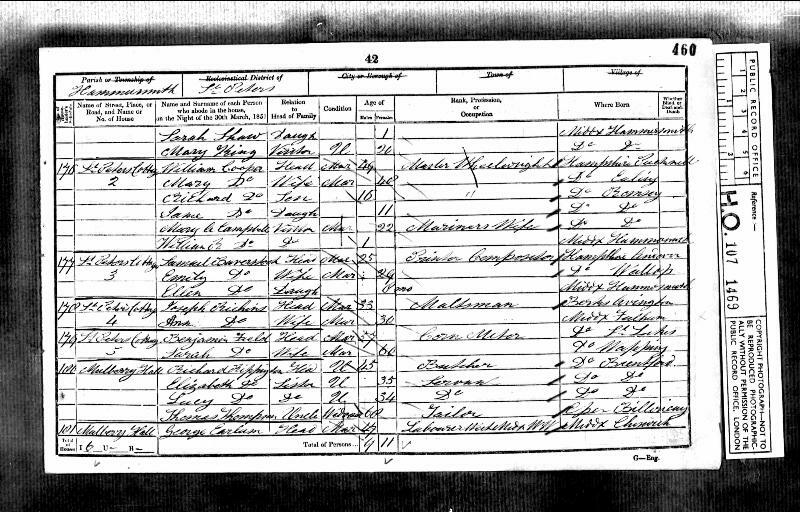 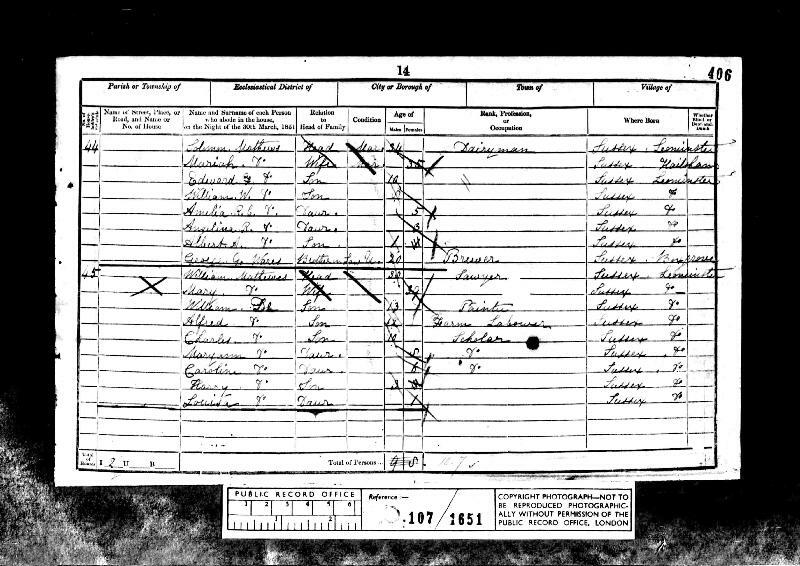 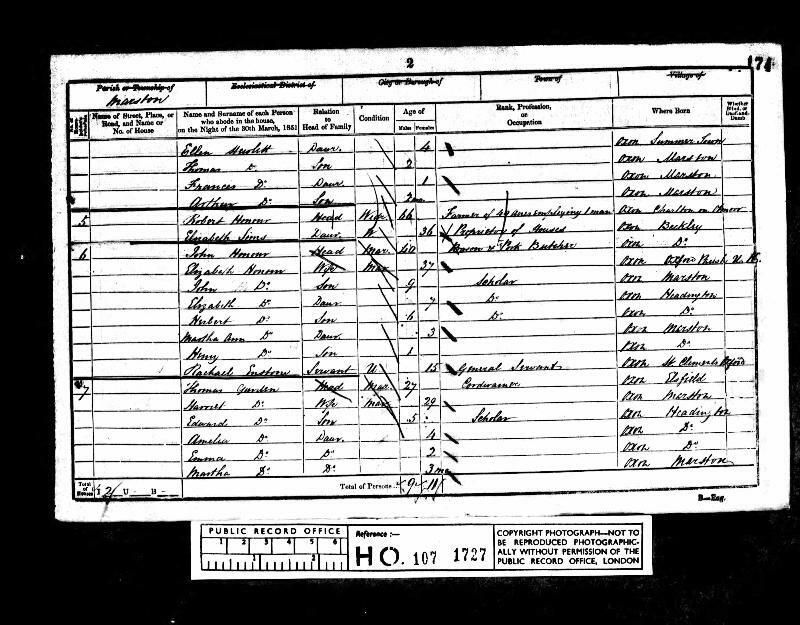 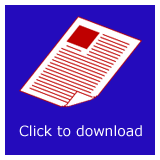 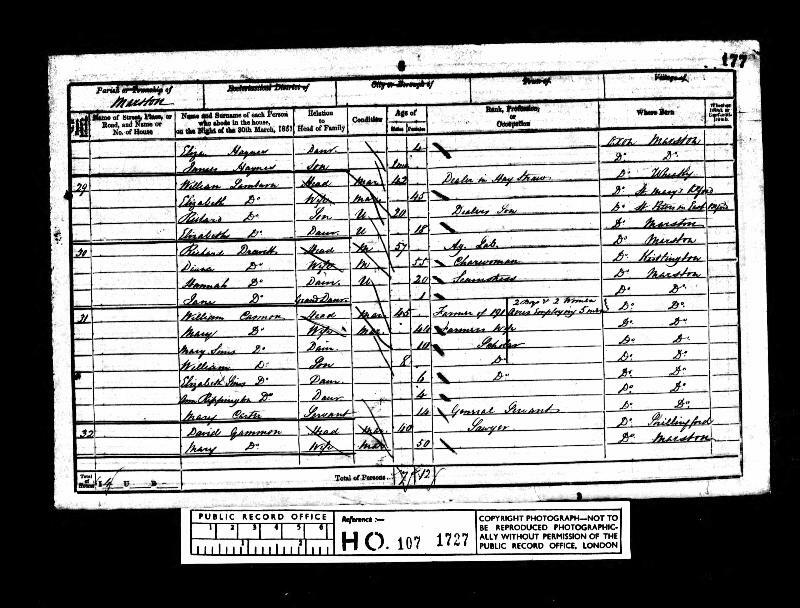 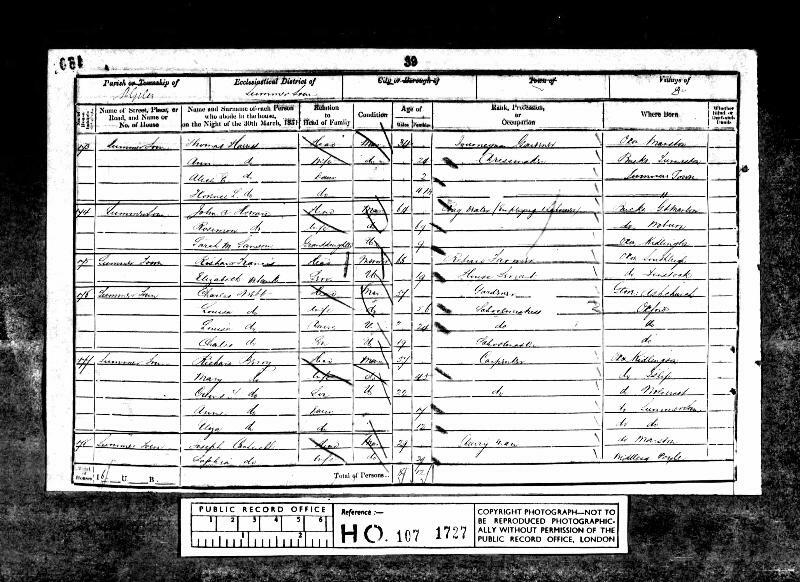 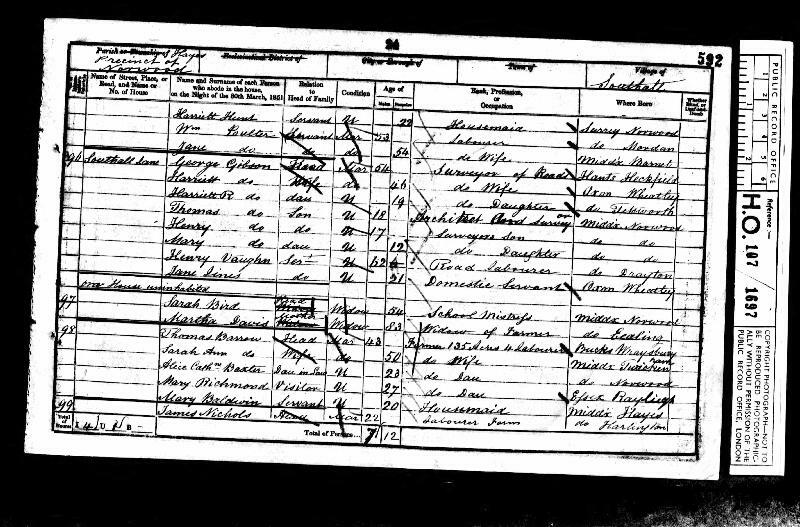 Original data: Census Returns of England and Wales, 1851. 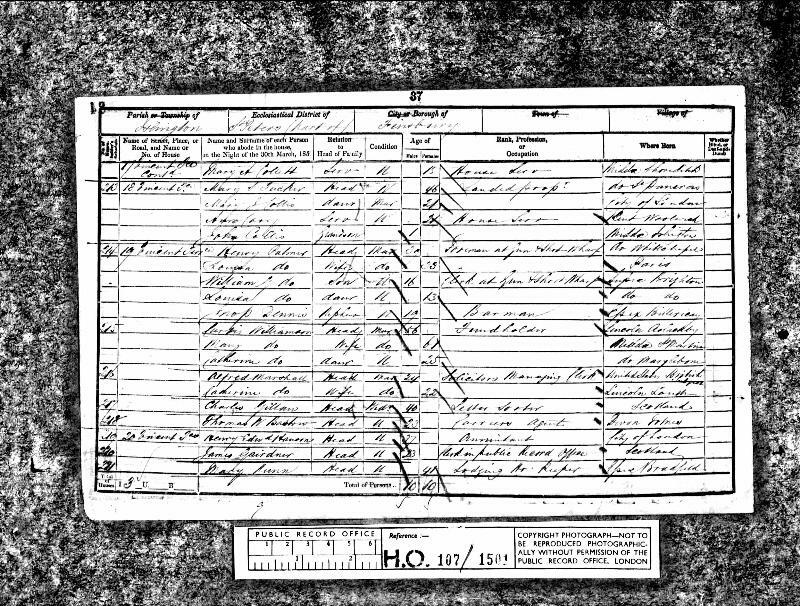 Kew, Surrey, England: The National Archives of the UK (TNA): Public Record Office (PRO), 1851. 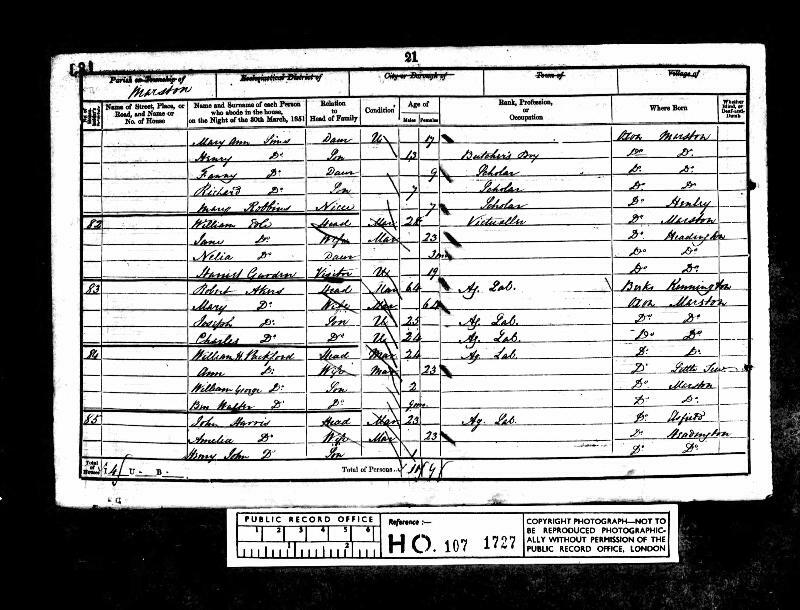 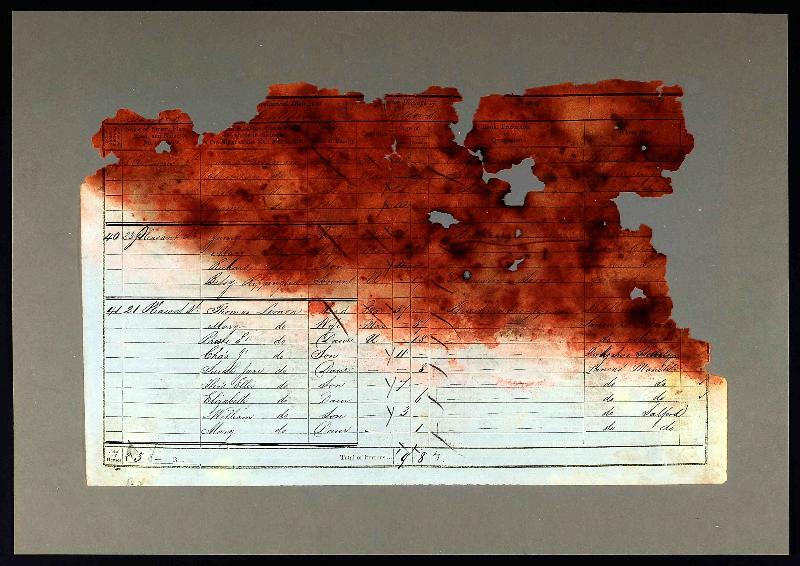 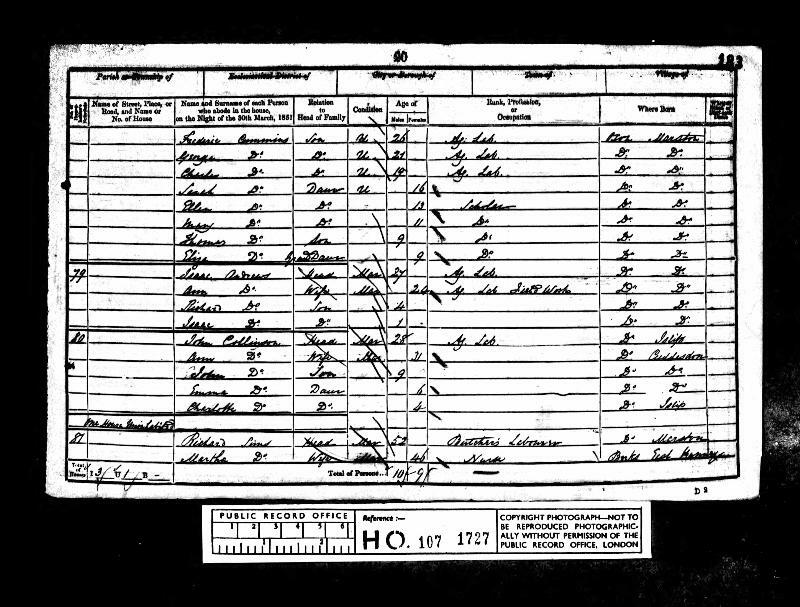 Data imaged from the National Archives, London, England. 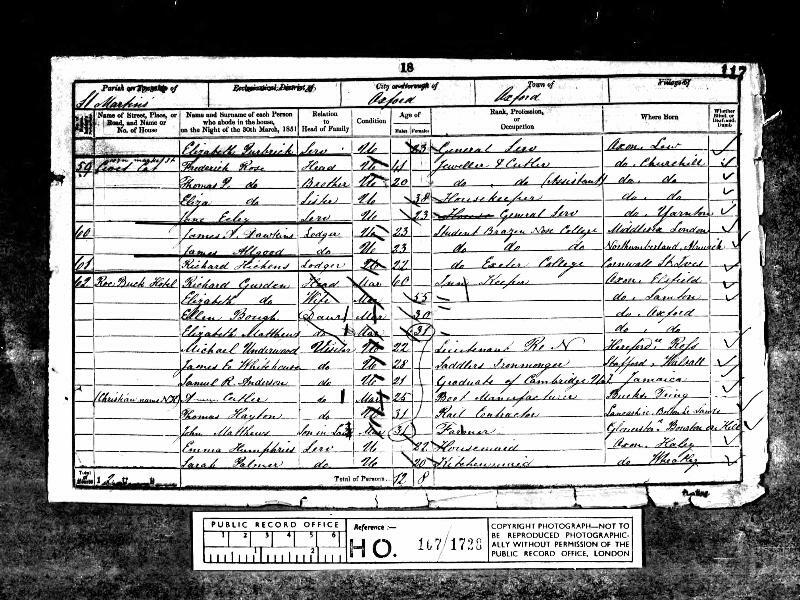 Taken on 30 March 1851.